The China International Meetings and Conference Forum (CIMCF) had been held consecutively for 5 years since 2011 and will be re-branded as China Conference & Business Travel Forum & Fair (CCBTF) in 2016. 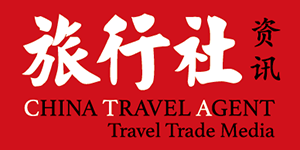 Two new contents, the business travel and the industry trade fair will be introduced to the event. The CCBTF is designed to build up a platform for learning, exchanges and cooperation in the high-end MICE sector and is intended to explore the changes taking place in the meetings and tourism industry.